Long gone are the days of looking up hundreds of recipes, narrowing down your choices, then going to the grocery store to buy everything. Meal Subscription boxes are all the rage right now, and in Canada we have tons companies to choose from. Luckily, Andreanne from Fork & Fantasy has tried two different meal subscription boxes and is here to show us the differences between the two. I’ve actually been meaning to try these services, so this was even helpful for myself! Hi everyone! 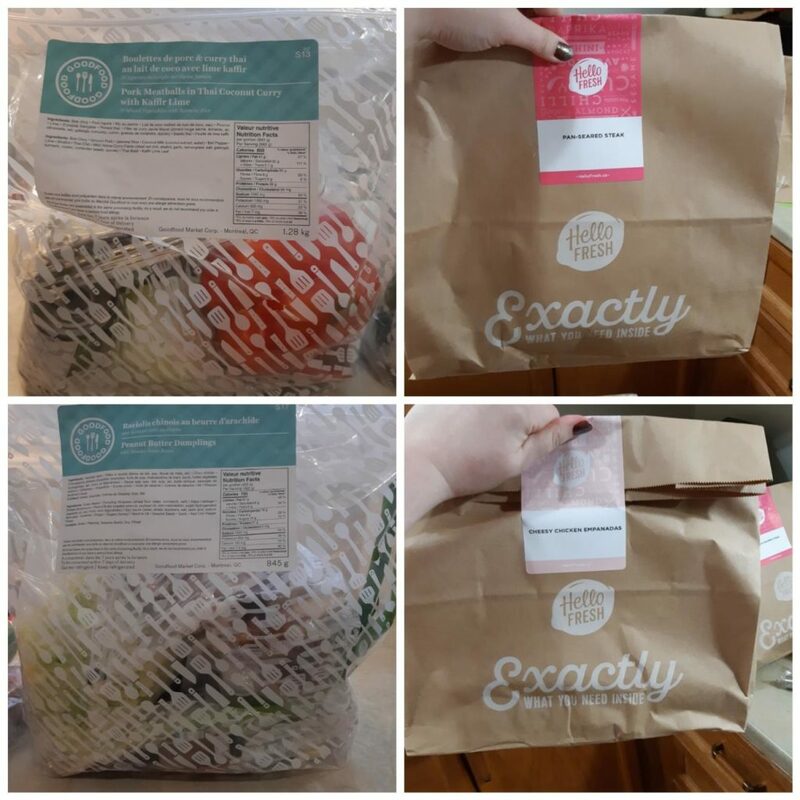 This is Andreanne from Fork & Fantasy, guest posting here on spilledpolish to let you know the good, the bad, and the ugly from GoodFood vs. Hello Fresh! 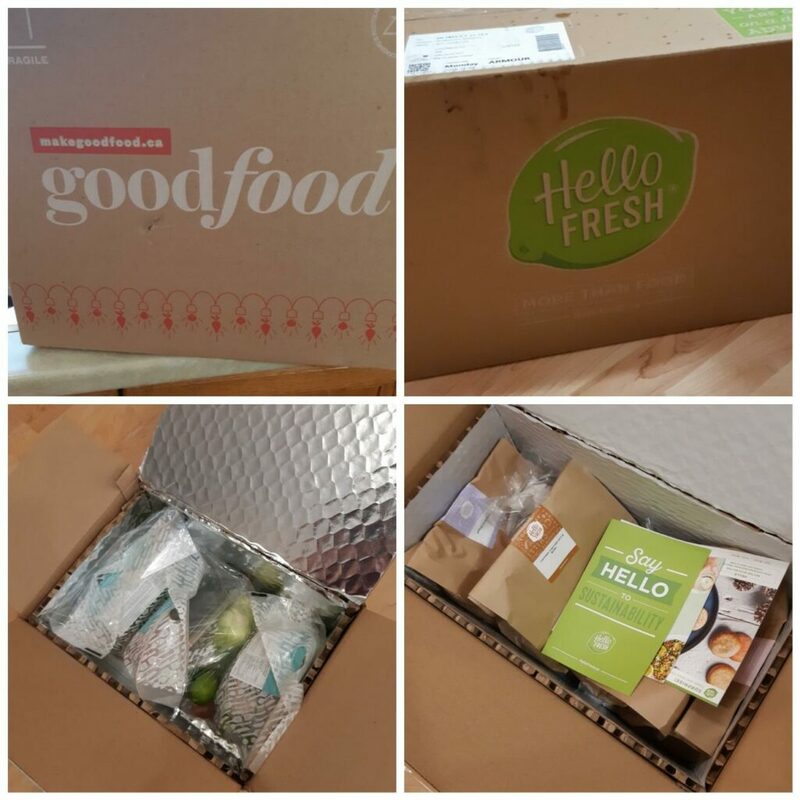 What are GoodFood and Hello Fresh you ask? They are both meal subscription boxes. The concept is the same. Subscribe online, choose your meals, and get them delivered to your door. Pretty easy right? Now, I’ve tried and reviewed the both of them so let’s compare them and see, shall we? Both: They both came in insulated cardboard boxes with ice packs for the meat. In both boxes the meals were separated in bags and the meat was in a different compartment with the ice packs. Both were cold and fresh upon opening. GoodFood: A LOT of plastic. The meals came separated in plastic bags. The ingredients inside the plastic bags were in smaller plastic bags, or plastic containers. The website mentions that all the plastic is supposed to be recyclable. I know it is not where I live, so maybe it depends? The hard-plastic containers were pretty good quality though, so I will re-use them for sure. Hello Fresh: Paper bags! The meals came in paper bags and the ingredients inside were loose and unpackaged (unless necessary). I found it easier to recycle. They also have a program to recycle the ice packs, after a few boxes, you can message them to be sent a box to return the ice packs to be re-used, I thought that was pretty neat. Both: Both boxes had recipes that were easy to follow. All the recipes were suitable for beginners. Both boxes also had recipe cards that were clear and beautiful (if one was to make a binder of recipes, they would look great). 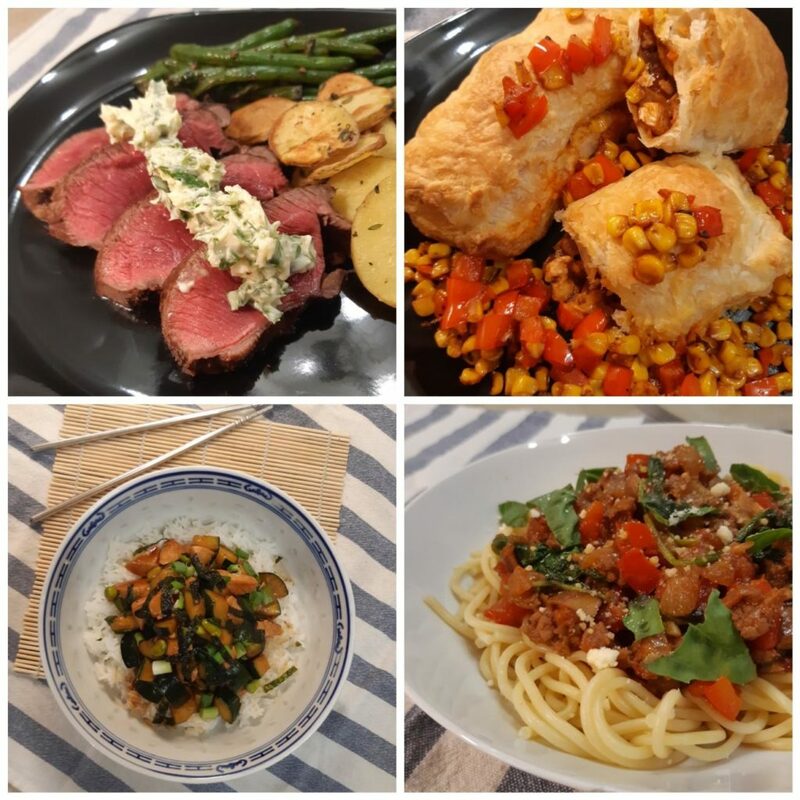 GoodFood: The recipes were fairly quick to make (which was perfect for week nights). However, I found some of the timings to be a little off, notably for the Scalloped Potatoes. The cooking time was far too short. All the recipes I’ve tried were tasty and would probably please everyone in the family. 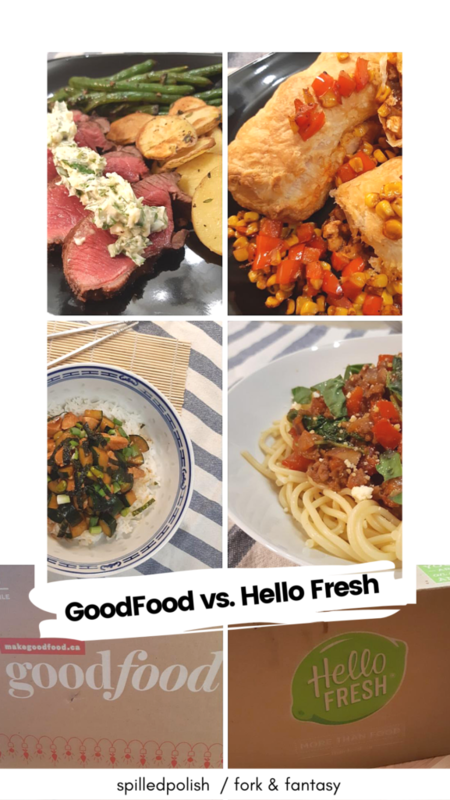 Hello Fresh: The Hello Fresh App was wonderful to follow the step-by-step instructions! The different timers for every step were very helpful and usually accurate. The recipes did take a bit more time to make which may not be ideal if you have young children. Everything was delicious though. 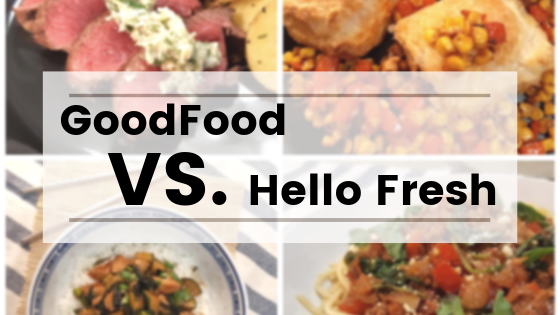 Both: GoodFood and Hello Fresh both have different plans available. For different amount of people, and for different amount of meals. GoodFood: They have a LOT of plans. Including specialized ones such as ‘’Low Carb’’ and ‘’Vegetarian’’ as well as ‘’Clean Eating’’. They also have a very large selection of menus for each week, including some more gourmet options, for which you pay a little extra. Hello Fresh: They have fewer plan options, though they do have a vegetarian plan. They also have fewer meal options, I ordered 4 meals and only had 5 options to choose from in the ‘’Family Plan’’. GoodFood partners with local organizations, for every box you buy, they provide a meal for a school child in need. Hello Fresh’ packaging is more eco-responsible. Both are working with local producers for sustainability. Neither of them are equipped to deal with food allergies. Both of them have the possibility to ‘’skip’’ weeks if you don’t want to cancel. Hello Fresh is easier to cancel. Personally, the meal boxes are not worth it for me. The price outweighs the convenience in my case as I do not have children, love to cook, and bargain shop! However, I might get the GoodFood one again while my husband is away (Military Spouse life, anyone?). 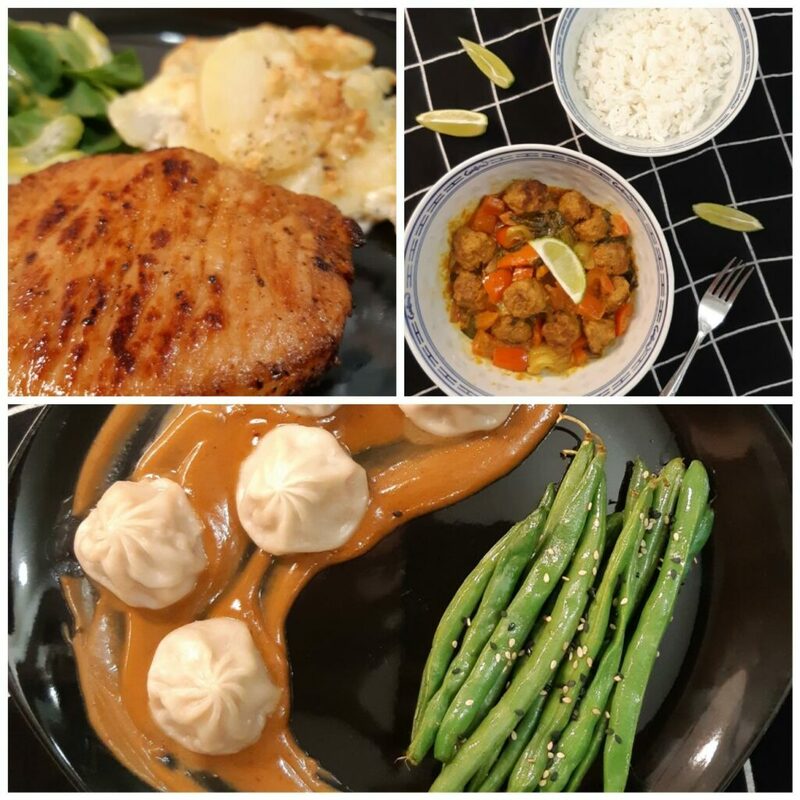 I found the GoodFood box to be cheaper and the meals quicker and tastier, in my personal taste anyway. For what it’s worth, my husband liked both. Andreanne is owner of Fork & Fantasy (https://forkandfantasy.com). You can also follow her on Facebook and Instagram.